One of the few markets that hasn’t been affected by the recession is the fast food market. Fast food giant, McDonald’s, is leading the way in 2009 with global sales up 6.9% in April compared to last year at this time. Not all fast food chains are doing as well as McDonald’s. Burger King and Sonic’s sales have dipped dramatically. So what makes McDonald’s situation so different from the rest? Promotion. McDonald’s is advertising 3 different promotions which can be credited to their recent upswing. They recently unveiled a national ad campaign for their new line of espresso coffee drinks. Coffee sales are now up 40%. The 2nd upcoming promotion is valued-based drink pricing for the summer. This promotion varies from market to market but is an excellent way to cater to those warm weather areas where fluid intake will be on the rise. 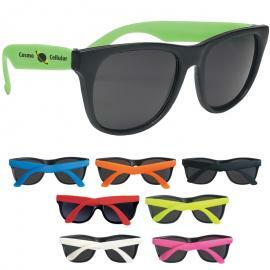 The last promotion is a giveaway featuring Coca-Cola collectible glasses. Based on previous blog entries, let’s look at what makes this promotion successful. The first factor is usefulness. People can use this item often especially during these summer months. That also aligns with how important it is to put out promotional products that correlate to the current season. McDonald’s is also catering to the collector crowd as Coke collectibles are rather popular throughout the U.S.
McDonald’s current giveaway shows how businesses know the benefits of promotional product giveaways. Allow us to put together the ultimate promotional product campaign for your business. Contact us today. Welcome to the Superior Promos Promotional Product Blog!